Facebook apparently took their Palo Alto employees to see David Fincher's The Social Network last night. 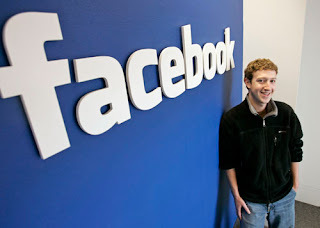 Facebook CEO and founder Mark Zuckerberg had who previously dismissed the movie as “fiction” was even rumored to be attending. "To celebrate a period of intense activity at Facebook, we decided to go to the movies. We thought this particular movie might be amusing." I'm reading: [FACEBOOK] TOOK THEIR EMPLOYEES TO SEE DAVID FINCHER'S [THE SOCIAL NETWORK]Tweet this!